Shopping for Gilligans Island Action Figures? Awesome action figure from the classic Gilligan's Island TV series! Bob Denver's eponymous character as a huge 12-inch action figure. Celebrate the classic Gilligan's Island TV series with this great 12-inch action figure! The Gilligan's Island Series 1 Gilligan 12-Inch Action Figure features a 1:6 scale take on the title character, rendered in an impressive 12-inch format. 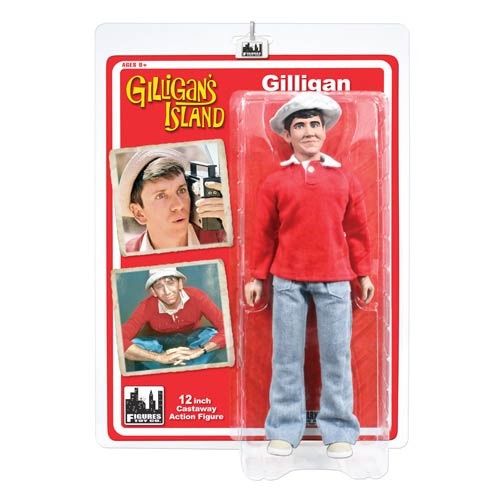 Measuring 12-inches tall, this figure of Gilligan is a must-have for fans of the classic TV series! Ages 8 and up.